Topics: Events, Jobs, Publications, and Advisory Bodies. 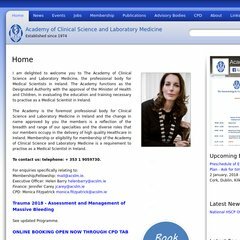 amls.ie Continuous Professional Development | Academy of Medical ..
jobs.ie Jobs.ie - Jobs in Ireland. Irish Jobs. Pem Virtual Linux Hosting Infrastructure Carlow is the location of the Apache/2 server. ns2.blacknight.com, and ns1.blacknight.com are its DNS Nameservers. Its IP Number is 81.17.254.22. PING www. (81.17.254.22) 56(84) bytes of data.